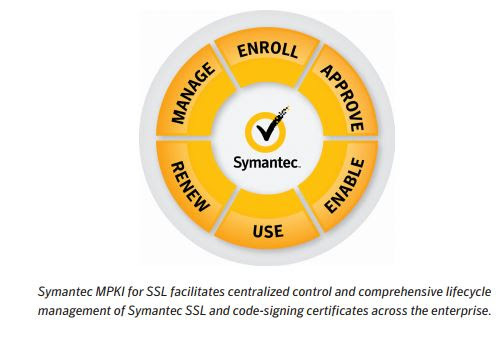 Benefits of Symantec MPKI for SSL. Symantec™ Managed PKI (MPKI) for SSL cloud-based management console provides centralized control and delegated administration of all your Symantec SSL and code-signing certificates. Extended Validation (EV) and premium certificates include vulnerability assessments and malware scanning to assist in website protection. MPKI for SSL is ideal for a large enterprise that needs to deploy and manage large numbers of SSL certificates.